Winter sports is a relatively broad category that includes any sport that takes place on ice and/or snow. Most winter sports are variations of ice skating, sledding and skiing. According to the International Olympic Committee, currently there are 15 winter sports on the current Olympic Winter Games program. In alphabetical order, they are: alpine skiing; biathlon; bobsleigh; bobsleigh skeleton; cross country skiing; curling; figure skating; freestyle skiing; ice hockey; luge; Nordic combined; short track speed skating; ski jumping; snowboard; and speed skating. Where Can You Bet on Winter Sports? You can bet on winter sports in the vast majority of bookmakers around the world. Each bookmakers differ from having everything from the outright winner, to how many medals, to the fastest time and a range of other exotic bets. Not every bookmaker would have too many experts in the field, so a clued in bettor could have a good chance at catching the bookies offering some generous prices. e.g At the time of writing this article, Paddy Power have Ted Ligety as a 4/1 joint 2nd favourite for the Alpine Skiing Overall title, while Bwin are offering 10/1 11.00 +1000 10.00 10.00 -0.10 , and in the Mens Biathlon Overall betting, Sky Bet have Martin Fourcade as a 3/2 2.50 +150 1.50 1.50 -0.67 shot, whereas you can get 9/2 5.50 +450 4.50 4.50 -0.22 888sport and Unibet. Which Winter Sports Attract the Most Betting Interest? Of the 15 winter sports on the Olympic Winter Games list, one is head and shoulders above the rest in terms of the betting interest that it generates: ice hockey. Even the most casual of sports fans has probably heard of the National Hockey League, the professional ice hockey competition that shares the North American winter sports limelight with American football. But most bookmakers put ice hockey in a standalone category because not only does the National Hockey League generate huge turnover but also the high-quality domestic competitions throughout Europe. Outside of ice hockey, the top five winter sports in terms of betting interest are alpine skiing, biathlon, cross country skiing, Nordic combined and ski jumping. Alpine skiing, commonly known as downhill skiing, has four disciplines: slalom; giant slalom; super giant slalom; and downhill. 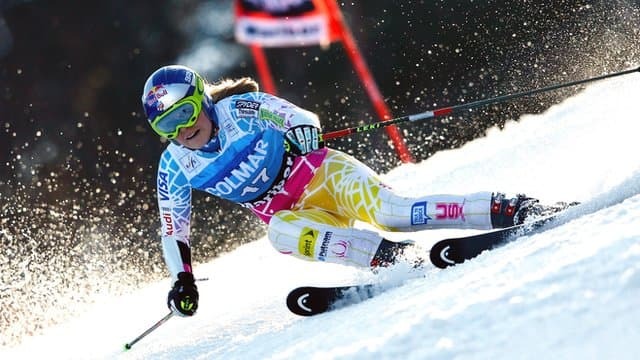 Slalom ski races have courses that require short tight turns, whereas giant slalom races have courses that have set with more widely spaced turns. Super-giant slalom and downhill courses have few turns and the fastest skiers reach top speeds in excess of 100 kilometres per hour. Strictly speaking, biathlon is any sports event made up of two disciplines but usually it refers to the winter sport that combines cross country skiing and rifle shooting. And Nordic combined is the winter sport in which competitors must muster both cross country skiing and ski jumping. 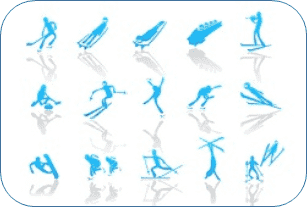 What Are the Major Winter Sports Competitions? The Winter Olympic Games, the most recent edition of which took place in the Russian city of Sochi in February 2014, is the winter sports competition that captures genuine global attention. From its beginnings in 1924 until 1992, the Winter Olympic Games ran in the same years as its more illustrious Summer Olympic Games cousin. The International Olympic Committee, however, thought that the events would be better off on separate four-year cycles in alternating even-numbered years so it sanctioned the Lillehammer 1994 Winter Olympic Games to occur just two years after the summer one in Barcelona and the winter one in Albertville. Check out the 10 greatest surprises in Winter Olympics history to see why it’s the pinnacle of Winter sports events. There is a long time to wait between Winter Olympic Games so the World Cup events that the Federation Internationale de Ski organises on an annual basis occupy winter sports punters in non-Winter Olympic Games years. Most of the World Cup competitions stretch over five months and rarely does a day go by when there is nothing on the events calendar. A yearly championship that is worthy of a special mention is the Four Hills Tournament. It consists of the four World Cup ski jumping events held around the New Year in Oberstdorf, Garmisch-Partenkirchen, Innsbruck and Bischofshofen. The Four Hills Tournament champion is the ski jumper who gets the most World Cup points over the four days. The Four Hills Tournament started in 1952 and only one daredevil, Finland’s Janne Ahonen, has won the title five times. Ahonen claimed his first Four Hills Tournament crown in 1999 and followed it up with victories in 2003, 2005, 2006 and 2008. Which Countries Cannot Get Enough of Winter Sports? Norway is the most successful country in Winter Olympic Games history, winning more than 100 gold medals and more than 300 medals of any colour. That is quite remarkable for a nation whose latest population figure does not crack the five-million barrier and speaks volume for the level of winter sports fanaticism in the Scandinavian country. A total of 13 nations have won 10 or more Winter Olympic Games gold medals. In addition to Norway, Austria, Canada, France, Finland, Germany, Italy, the Netherlands, Russia, South Korea, Sweden, Switzerland and the United States of America feature on the list. Of the baker’s dozen, one country sticks out like a sore thumb: the Netherlands. Winter sports are not something with which most people associate the Netherlands because the country is famously low lying, with its highest point being little more than 300 metres above sea level. However, the Royal Dutch Skating Federation is the seventh largest sports group in the Netherlands and, in particular, speed skating is an extremely popular pastime. The Netherlands has accrued 86 Winter Olympic Games medals, including 27 gold medals, 29 silver medals and 26 bronze medals in speed skating. Believe it or not but a Dutch architecture firm, Hoffers and Kruger, have drawn up some incredibly ambitious plans to build an artificial mountain in the Netherlands to help transform the flat nation into a winter sports power and, also, bid for the right to stage a Winter Olympic Games. The Netherlands hosted the Summer Olympic Games in 1928 and, with a city the size of Amsterdam unlikely to host a summer edition in the commercially driven 21st century, the Dutch plan to construct a man-made peak and pitch for a Winter Olympic Games may not be as crazy as it sounds.